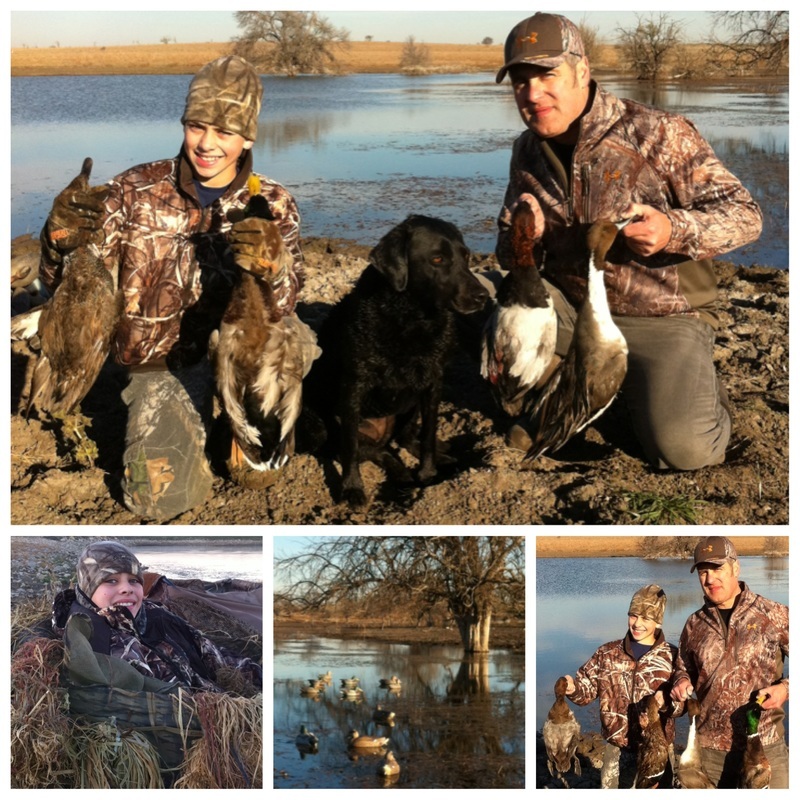 Youth hunters 15 & under $150. per day. Special - $200 per gun with a group of 4 or more . A 50% non-refundable deposit is required to reserve dates. MUST BRING THIS SIGNED RELEASE FORM with you on morning of hunt. Click here to access form. Reservations are on a first come first serve basis and your spot is reserved as soon as deposit is received. I am primarily hunting in the North TX and surrounding areas but will extend out from there 60 miles or more depending on where the higher concentrations of birds are. 75% of the time we hunt out of layout blinds as most of my holes are located in the center of wheat fields and open prairie with little to no cover available. ​This style of hunting allows for in-your-face shooting at ducks with their landing gear down as they descend right on top of the decoys. If that doesn't get your heart going, nothing will! Throughout the season we will see Greater and Lesser Geese, Blue Wing Teal, Green Wing Teal (have even shot a cinnamon last year), Ringnecks, Spoonbills (aka. Hollywood's or smiling Mallards) Redheads, Gadwall, Wigeon, Mallard, Pintail, Canvasback, Blue Bills and even have a place this year that looks promising for Wood Ducks. SIGNED RELEASE FORM: Must bring with you on morning of hunt. Click here to access form. SHOTGUN: Most hunters will be shooting a 12 or 20 gauge. We recommend modified choke or a special choke for steel shot. SHELLS: We recommend using STEEL shot size #2 or #4 in your favorite non-toxic shot preferably 3" but 2.75" will work as well. Buy the highest quality shot you can afford. Sure, the cheap-o stuff might work just fine but remember this is your hunt and shot selection is the least of your expense. Also, No Lead! BOOTS: Chest waders are the preferred footwear. They will be warm and will help keep you dry. Hip boots or knee boots should also work. RAIN GEAR: A camouflage rain jacket along with wide brimmed water proof hat. CLOTHING: Warm camouflage clothing is a must, layers work best. You will also need gloves, face mask (or paint) and ear plugs for your protection. Hand warmers are not a bad idea either when temperatures get below freezing. MEMORIES: To remember your hunt, bring a camera or video recorder. When does the hunt begin and end? 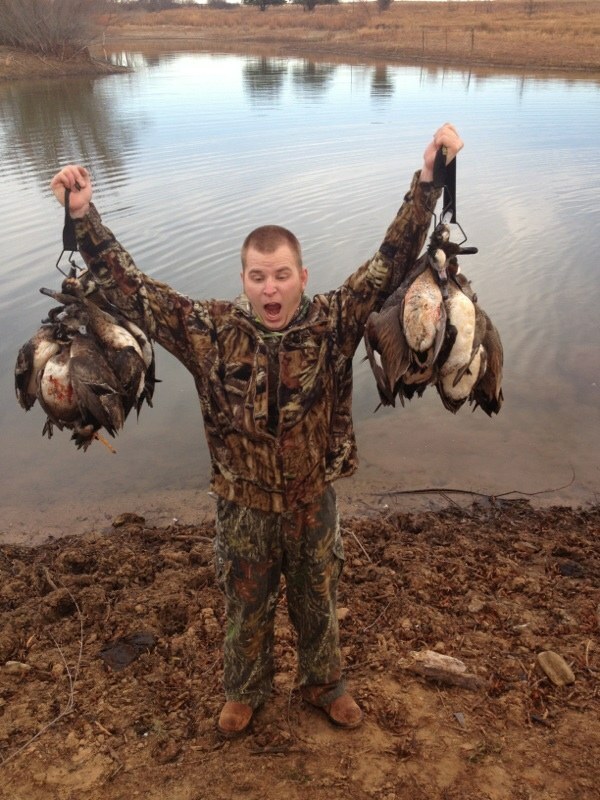 Duck hunts are from 30 minutes before sunrise until limits are shot or 9:00 am-ish, whichever comes sooner. Yes, as long as you have your own private party of 4 or more hunters and they and we are aware of this beforehand. Am I guaranteed a limit? No. We are hunting wild birds and nothing is for sure. Also, many times shots are missed. Many people are not used to shooting with heavy clothes on or from a reclined position. Ducks have a relatively small kill zone and you need to be on target to bring them down. No matter how good the hunting is there is going to be the occasional bad day. Often times the success of a hunt cannot be judged on the bag. If a party has had plenty of shooting opportunities at birds that are in range but does not have a large bag then it is not considered to be an unsuccessful hunt. In the past 6 years we have only had 3 hunts that we did not shoot a single bird and those hunts were rescheduled at no additional cost. What about afternoon duck hunts? We do not provide afternoon duck hunts. In our experience they are not nearly as productive as morning duck hunts. We would love to have extra business but we don't want to sell hunts that we do not believe are top quality. I have booked a hunt - what happens next? Make sure you have your required license and stamps. We do not sell licenses or stamps. Contact us at (817) 703-3689 between 7 and 8PM the day before your hunt. We will not know where we will be meeting or at what time until the guides come in from scouting. Typically we meet at an area convenience store 1.5 hours before legal shooting time but this varies depending on where we are hunting. If you need breakfast, gas, etc do this before our meeting time. We schedule our meeting times as late as possible while still giving us enough time to get set up before the birds get there. Be on time and be ready to go. Our demand exceeds our capabilities. When you book a date we end up turning away other customers that may have also wanted that date. As such, deposits are non refundable. Also, deposits are for the number you specify. For example if you send in a deposit for 5 hunters and only 3 show up, the other 2 hunter's deposit is forfeited and cannot be credited towards the balance due on the three hunters that did show up. Guides are paid but they do appreciate your tips. Tip your guide depending on what you thought of his performance. Was he timely, professional, knowledgeable, enjoyable to be around and did he put you in the best position to shoot birds? 10-20% per hunter is an average tip. I look forward to hunting together. I look forward to hunting with you soon. Until then shoot em in the lips!